This contemporary restaurant has a glass-floored mezzanine and an open kitchen providing rich Lebanese flavours and a unique dining experience. 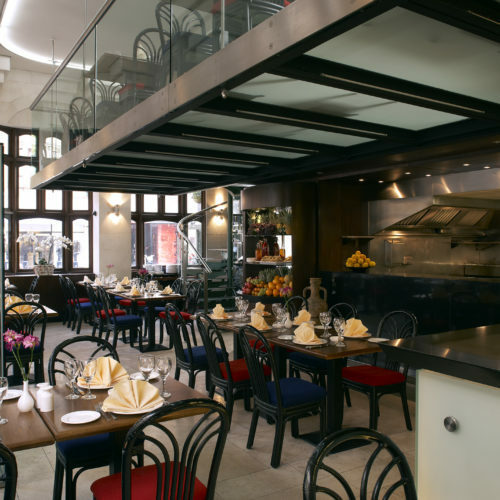 Located between Kensington High Street and Notting Hill, Randa encompasses the traditional spirit in which Lebanese food is prepared, served and enjoyed. With a stunning selection of traditional Mezza, tasty grills and delicate pastries there’s bound to be something that tantalises your taste buds. A visit to Randa promises exotic flavours, succulent meats, fresh breads, and exquisite Lebanese wine, plus smooth Lebanese music, impeccable staff and irresistible aromas.